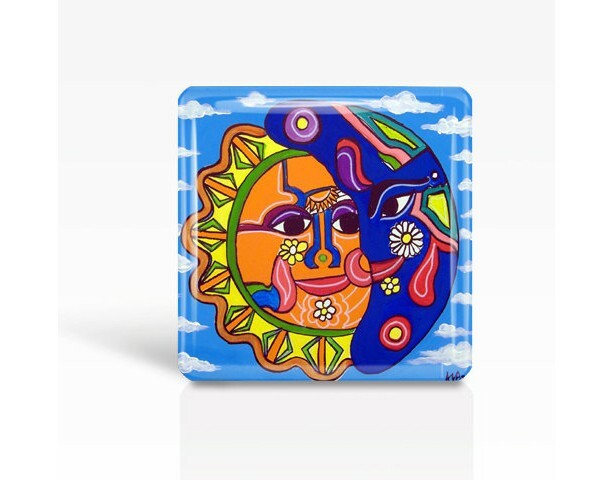 Mexican Folk Art- SUN & MOON - Glass MAGNET By Artist A.V.Apostle- 2"x 2"
MEXICAN FOLK ART PAINTING- SUN & MOON Glass Magnet measures 2"x 2". The artwork is based on my series of Mexican Folk Art paintings. My name is Anggelyka V. Apostle (A.V.Apostle) and I have been painting and exhibiting for over 20 years. My resume includes high profile public art and commercial murals as well.